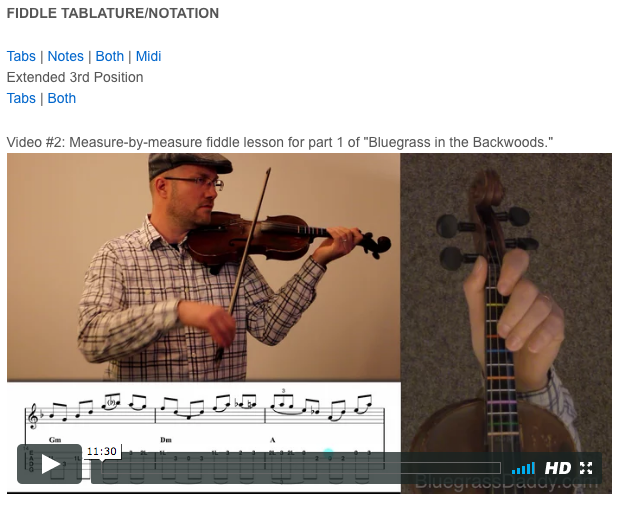 This is an online fiddle lesson for the bluegrass tune "Bluegrass in the Backwoods" by Kenny Baker. 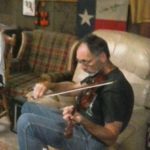 http://mattsliva.com/author/matt-sliva/page/3/ my company BluegrassDaddy.com is your best source for Bluegrass, Old Time, Celtic, Gospel, and Country fiddle lessons! Video #1: Here is a video of my daughter playing "Bluegrass in the Backwoods." 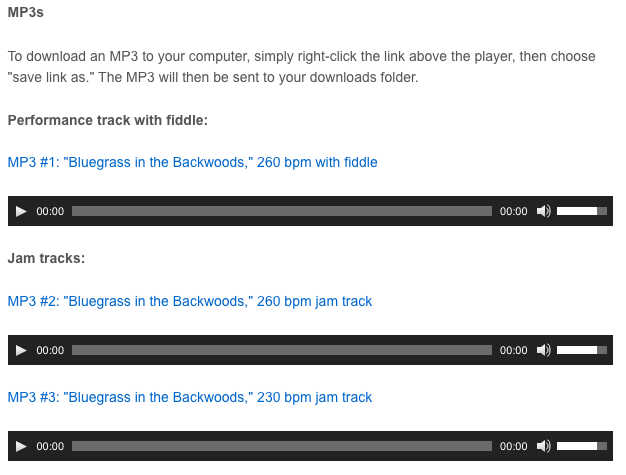 Posted in Advanced, Bluegrass	Tagged with: "Bluegrass in the Backwoods" "Kenny Baker" "online fiddle lesson" "bluegrass fiddle lesson" "BluegrassDaddy" "John Cockman"
This topic contains 13 replies, has 10 voices, and was last updated by John Cockman 1 year ago. 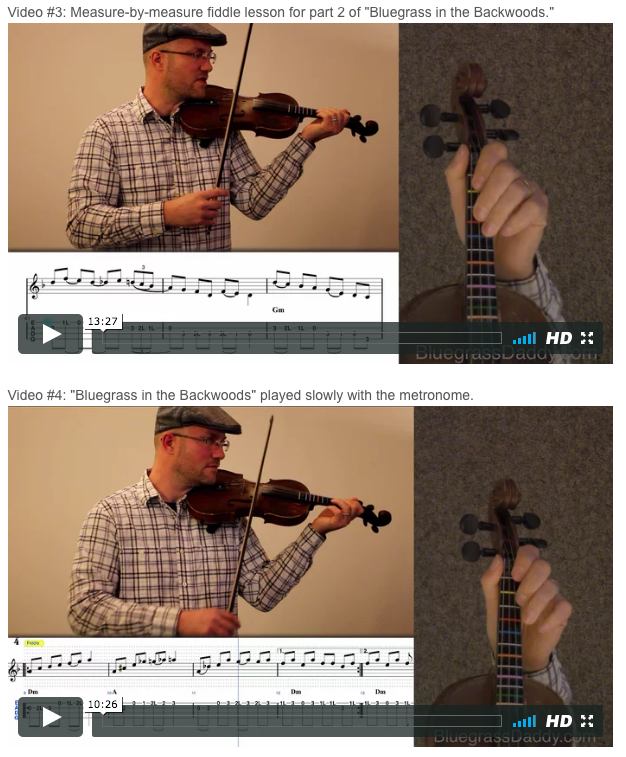 This is an online fiddle lesson for the bluegrass tune “Bluegrass in the Backwoods” by Kenny Baker. 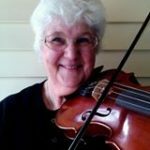 Hi John – I am so glad that you posted this lesson. It’s definitely a tune I want to be able to play. You must have read my mind! How do you bring up a drop-down menu? Should be able to use the same procedure. Whence Dropbox is installed and setup, navigate to the mp3 file, tap and hold the link and a pop up will display list of options, including save to Dropbox. Maybe someday I’ll play like that 🙂 years from now! I thought you all would enjoy this video of Arwen fiddling live this past Thursday morning. 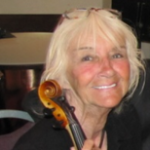 She arranged “Bluegrass in the Backwoods” and “Czardas” into a medley. I included her “Fiddler’s Dream” medley as well. This was a special St. Patrick’s day luncheon honoring the seniors in Catawba County, and entertainment was provided by the Cockman Family grandkids. All the ones you see at the front tables are over 90 years old! Beautiful playing, Arwen! 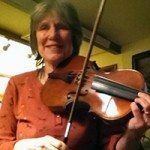 You are a great fiddler! Great job by both of your girls. Looks like brother Ben is doing well. So glad for that. Fantastic playing! What a treat! Happy belated St. Paddy’s Day! 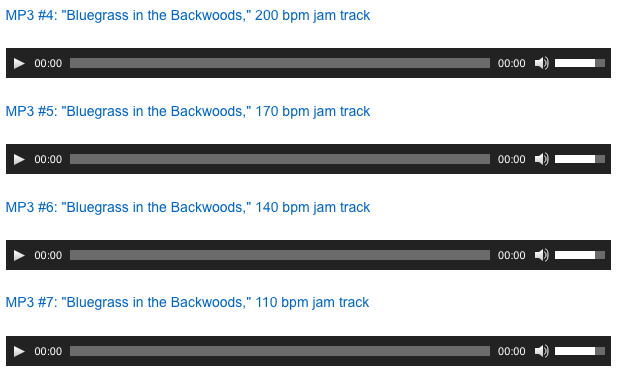 The two jam tracks for BGITB: MP#2 and MP#3 are not linking with the appropriate backing track. Instead when right-clicking and Saving Link, it comes up with “Silver Spear” on both. Perhaps you can check this minor glitch? John, thanks for letting me know about that. I fixed the links and also added some slower speeds.